With Marvel: The End Game slated for a worldwide release on April 26th, Joe Russo, the co-director of the movie along with Marvel India released the Hindi version of the Marvel anthem on Monday. 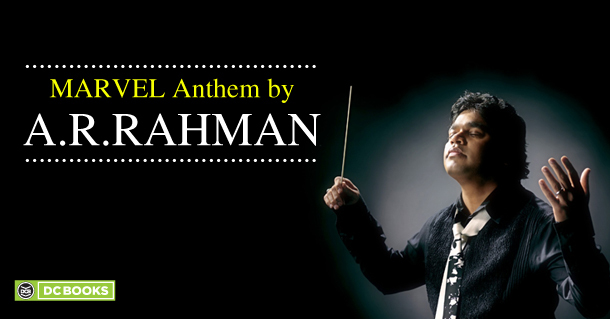 The track composed by the academy award winning A. R. Rahman has its lyrics composed by Nimrika Singh. Spiced up with rap and heavy percussion, the video features the music maestro. After the success of Avengers: Infinity War, there is much anticipation for the Endgame which is the culmination of over 20 Marvel movies. The movie also features the late comic legend, Stan Lee who will be seen in his final cameo appearance. The movie which will be released in Tamil and Telugu, apart from Hindi will have the theme song composed in the respective languages announced Rahman on twitter. The track has been getting mixed reviews from across the country. ‘Kyun Rabba’, the first song from the movie ‘Badla’ is out!